On a windy Friday night, the Redblacks rolled into Steel Town seeking to play spoiler after being embarrassed last week in BC. Though the defence was once again back in fine form, ultimately a toothless offence and a number of penalties prevented Ottawa from getting its first win on the road. With the loss the Redblacks fall to 0-8 on the road and 2-13 on the year and ensure that they’ll be drafting first next May. Travis Brown. Most improved player over the course of the year? Strong case. 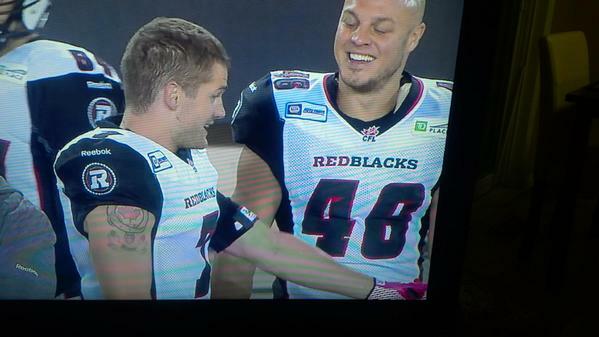 REDBLACKS TOO MANY PENALTIES. QB Comparison is …well…awkward. Defence solid. Offensive calls timid. Hmmm. 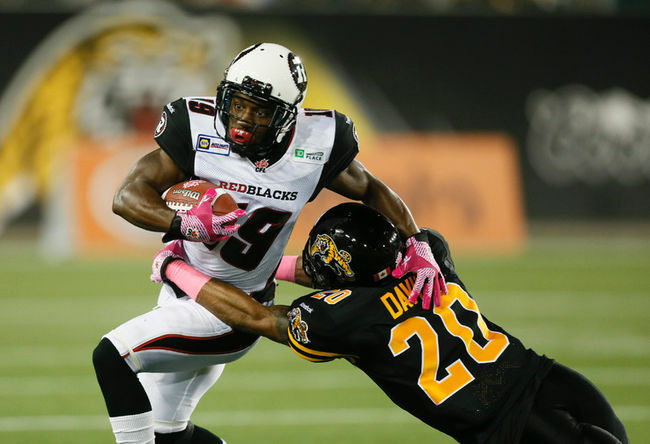 @RedBlackGade Yep – that's coaching to hold down the margin of defeat. Pretty chicken$#!# move. Stop me if you’ve heard this one before. 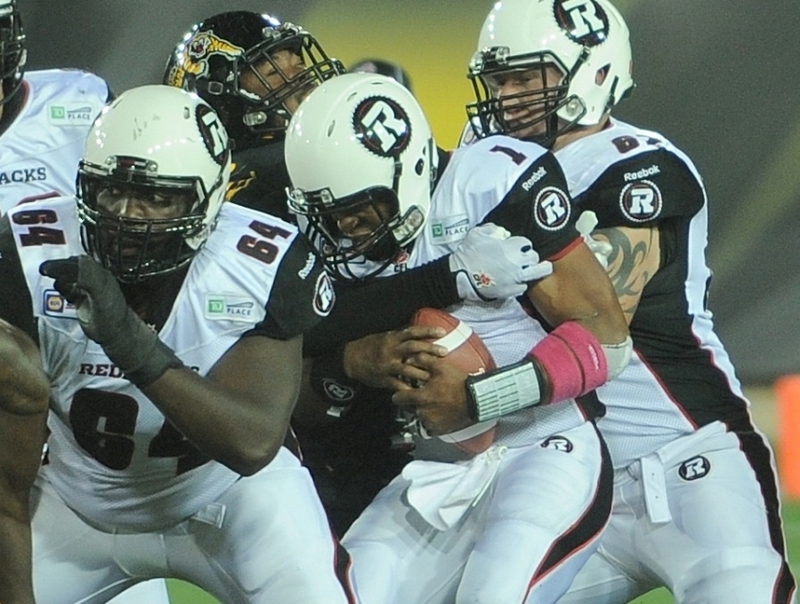 Poor play calling, dropped passes, and too many flags led directly to another Redblacks’ loss. On a night when the defence bounced back from a tough outing in BC, the Redblacks offensive drought continued. Henry Burris struggled all night, over- or under-throwing receivers, and on those times when he did hit them right in the numbers, more often than not his passes were dropped. Burris isn’t getting any help from his offensive line or OC, but he’s clearly not getting it done at QB. In his infinite wisdom, Mike Gibson once again chose to ignore the run game, handing the ball off 10 times during the course of the game. Going back to last game that’s 19 rushing attempts against two of the stronger defences in the league. Talk about setting yourself up for failure. Other than Henry², the rest of Ottawa’s receivers struggled to hang onto the ball and make an impact on the game, though Matt Carter did have his best outing since Week 8. Wallace Miles continued to show big play potential yet drop the easy ones. New additions Buckner, Jones and Mitchell were simply non factors mustering 3 catches for 6 yards between themselves. The offensive line struggled to both open up holes for the running game and to give Burris time to set his feet. It also probably didn’t help that Ottawa kept trying to run deep routes instead of the short quick passing attack employed so successfully by the Ticats. Simply put, our offence was offensive. Offensive co-ordinator Mike Gibson showed zero creativity all night, calling no play-action, no boot legs, no roll outs and no screens. At this point you’d have to assume he’s gone for sure at the end of the season. If there was one positive to take from this loss it’s that last week’s blowout loss in BC was an anomaly for our defence, they bounced back in a big way after being thrashed by the Lions. 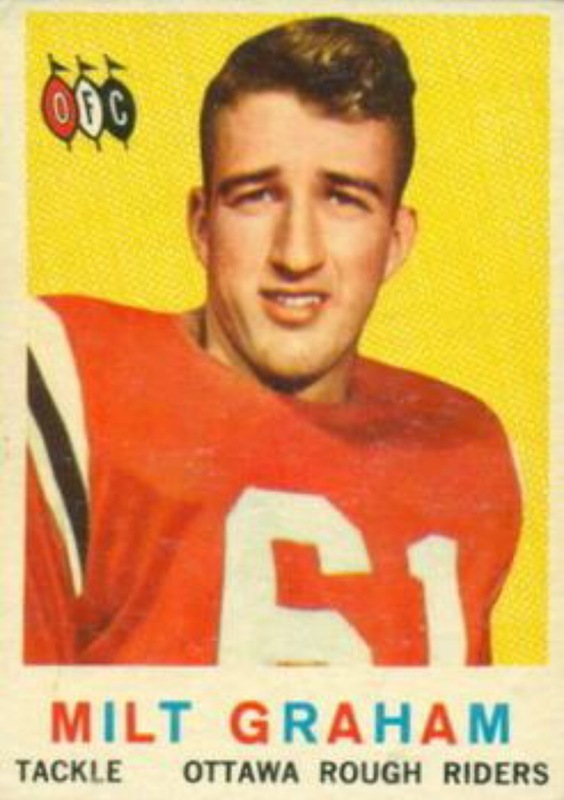 Despite being on the field for the majority of the game the defence limited the Ticats to a single touchdown, two field goals and three rouges; on most nights that’s good enough to win. 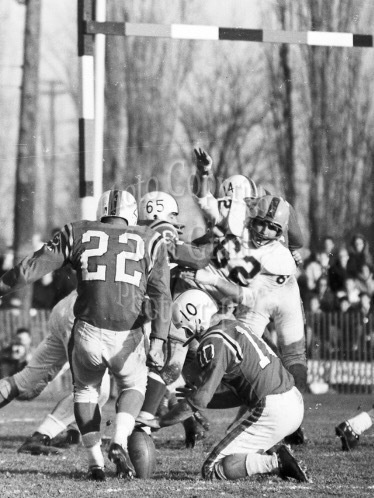 The defence even chipped in on the scoreboard, picking up a safety to go along with four sacks and an interception. 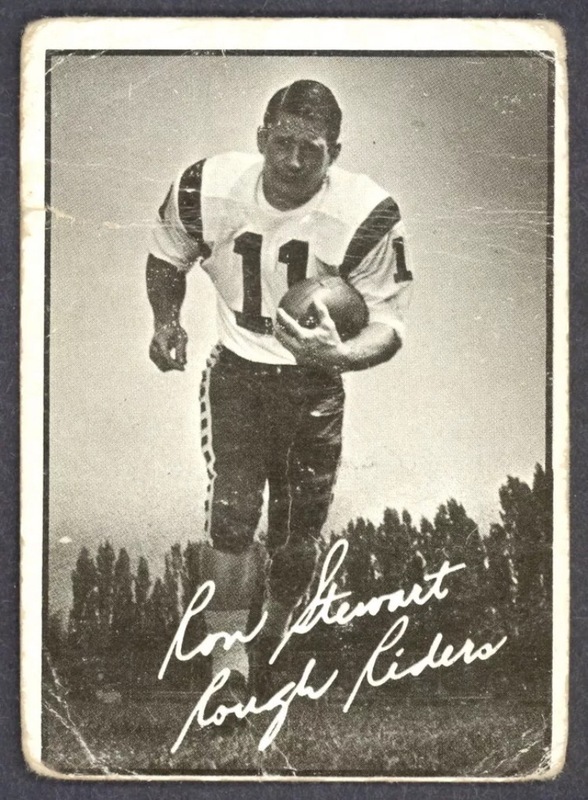 Rookie sensation Antoine Pruneau led the way for an aggressive blitz heavy defence and was constantly around the ball, racking up 10 tackles and a sack. 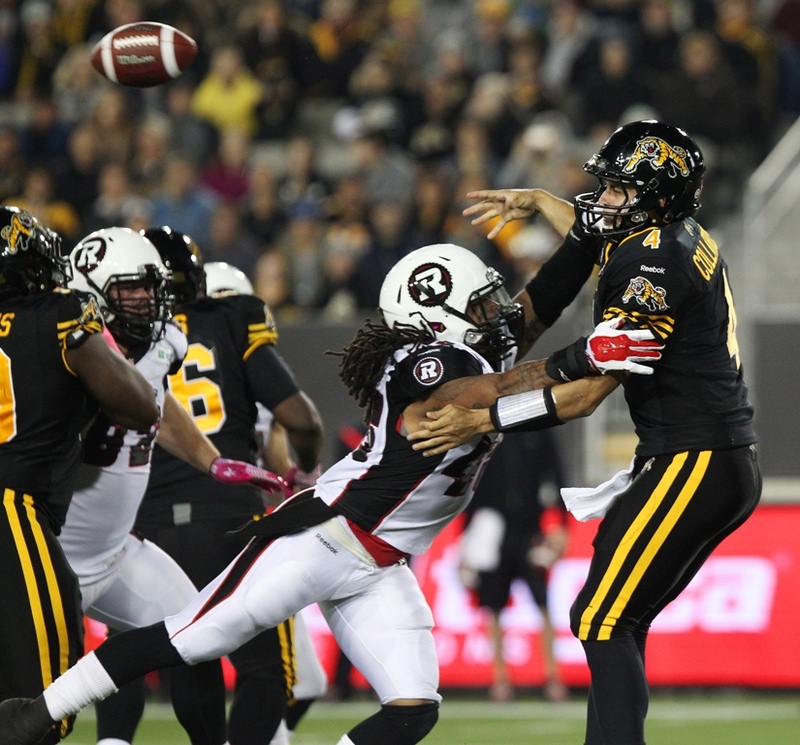 The pressure brought by the Redblacks’ all-Canadian defensive line helped ease the burden on the secondary who limited the Ticats to just 171 yards passing. As to be expected, the defence wore down a bit as the game went on, which is only normal considering how long they were on the field. It was not a bright night for Ottawa’s special teams, as Maher missed two field goals and the Redblacks were caught napping on a 3rd and 13 when the Ticats faked a punt for a first down. 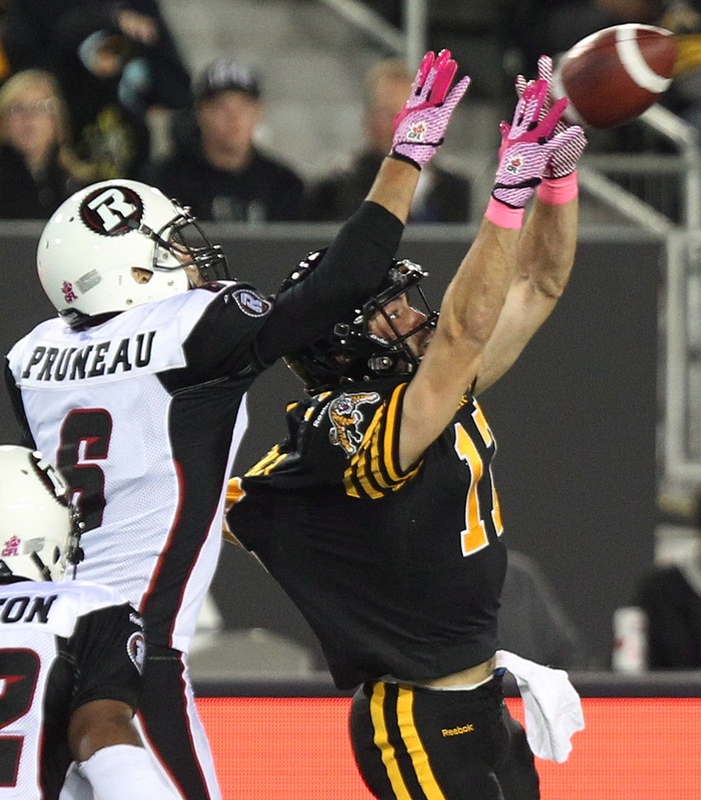 Flags were a major issue and Ottawa’s undisciplined play repeatedly gave the Ticats great field position. With Ottawa’s playoff hopes dead and the team simply playing for respect, Rick Campbell’s decision to punt the ball down 10 points on 3rd and 2 near midfield with 3 minutes left in the game is simply appalling. Your team is 2-12; Who cares if you lose 23-6 or 16-6? You have to show that you’re playing to win and be aggressive. Instead, by punting, Campbell looks like he’s more concerned with keeping the score respectable. Is that the message he wants to send to players, that it’s okay to lose as long as the game was close? 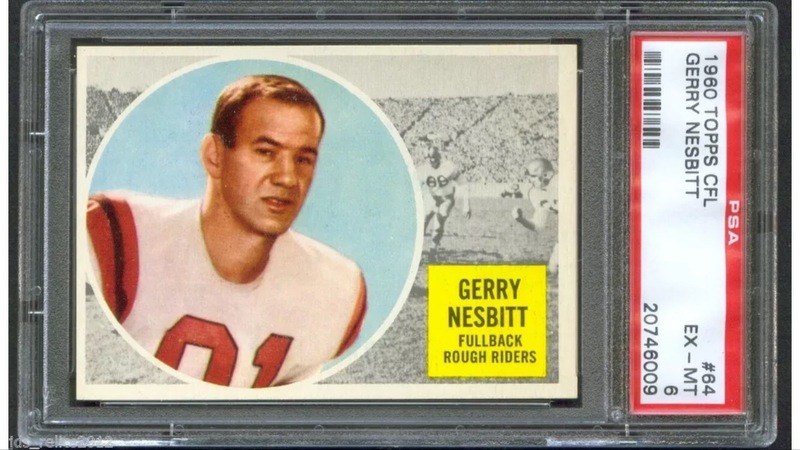 His decision to punt the ball is even more shocking when you consider that the Redblacks had no timeouts left due to a horrible challenge that was doomed to fail. Next up for the Redblacks is a home date with the Montreal Alouettes, where Ottawa will once again have a chance to play spoiler and throw a monkey wrench in another team’s playoff hopes. R-Nation has sold out seven straight games at TD Place and hopefully that trend continues next Friday night. For some strange reason the game starts at 6:30 so make sure you arrive nice and early. 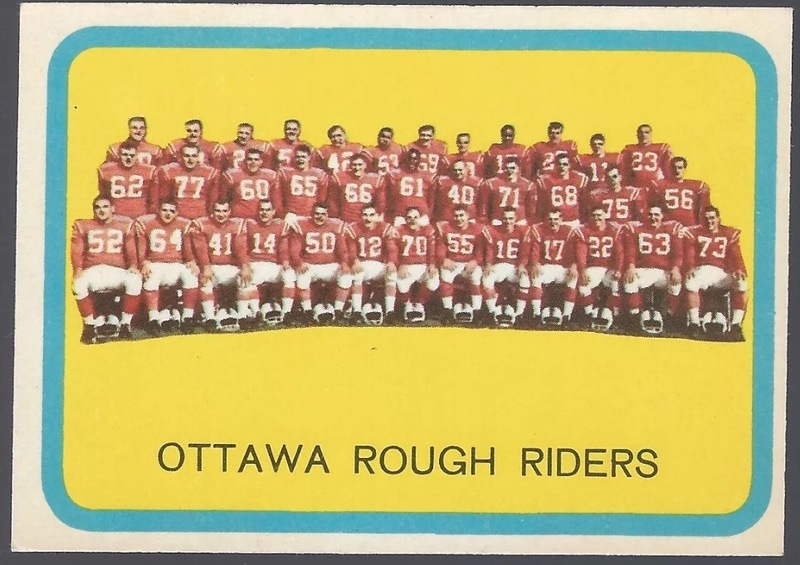 There is nothing more emblematic of the proud football history in Ottawa than the white ‘R’ that has adorned the helmets of those great Rough Rider teams of the 1960s & 70s, teams that created some of the greatest sporting memories in this city’s history. 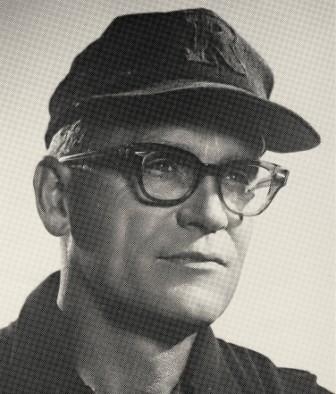 Not to mention hats & other gear worn by legendary coaches like Frank Clair (below) and Jack Gotta. Yes, we’re not the Rough Riders (two words) anymore. And there are a lot of good reasons, frankly, to let that name die. The last couple decades of that franchise’s existence are better forgotten (perhaps it’s no coincidence that the ‘R’ logo was missing in those last few agonizing years of the Rough Riders existence, not to mention the entire 4 years the Renegades were around). 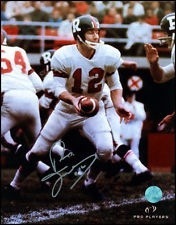 But we’re still Ottawa football and the ‘R’ logo is held in very high regard by those who remember the heydays. This is tradition worth maintaining and honouring. 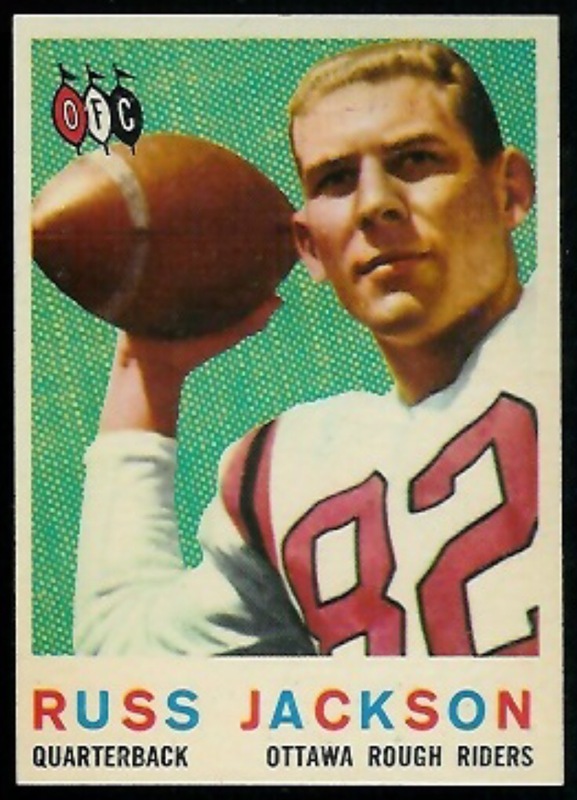 The ‘R’ is also a great way to create a linkage between the players and the fans of the Rough Riders, Renegades and now the Redblacks. Besides team history, R Nation is a clever double-entendre, i.e. “Our Nation”. A great slogan for the team in the capital of Canada’s only true professional sports league. 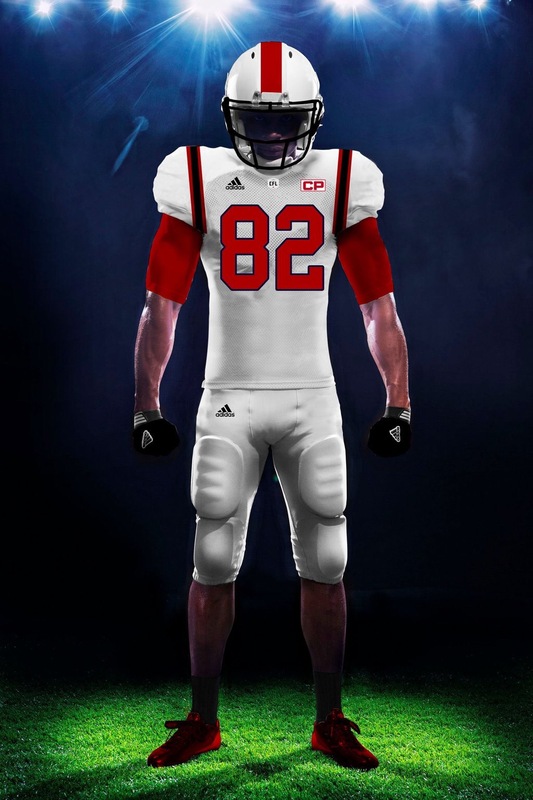 Fits very nicely with the CFL’s “This is our league” slogan, too. And isn’t it a pretty neat thing to be able to say “Welcome to R Nation” to CFL rookies from the US? Oozing with pride & nationalism. In just a few short weeks, the #RNation name has really been embraced by the budding Redblacks fan base. I must admit it is also part of the inspiration for the name of this humble blog. 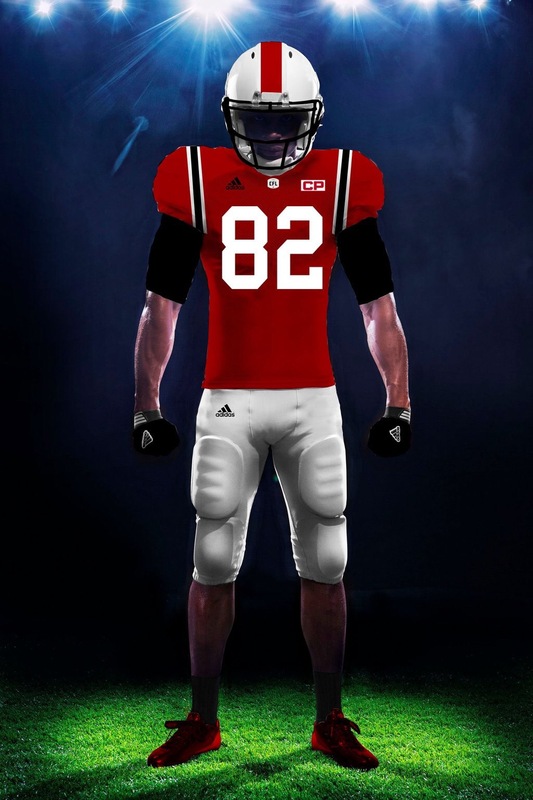 Again, credit to OSEG and the Redblacks for recognizing these linkages to the past and how important it is to incorporate this rich history into the identity of the new team. They get it. The R Nation nickname has also been met with some surprising bitterness/anger from Saskatchewan fans who believe it to be too similar to their #ridernation fan base nickname. A little misguided, however, as this is not about them. The Rider name is their’s. But the ‘R’ belongs to Ottawa.